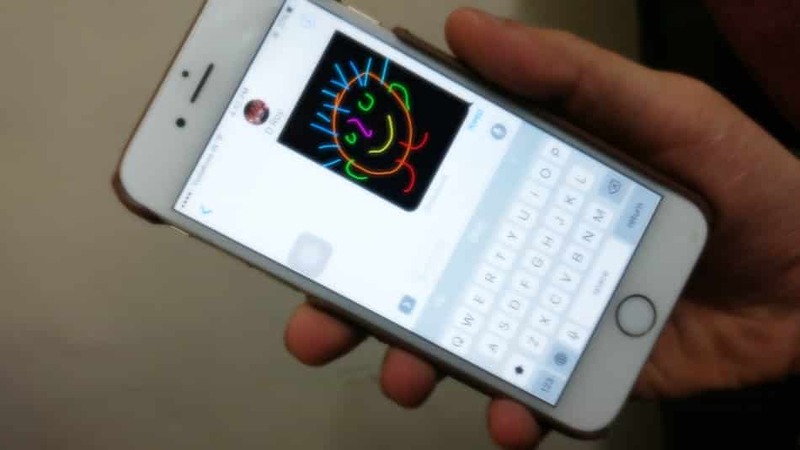 Apple makes iMessage batter ways to send simple text, Photos and Videos over iMessage service. 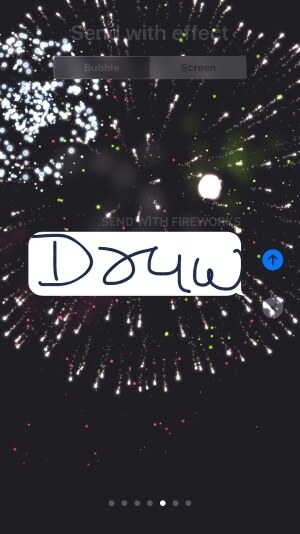 In this people also liking Draw in iMessage with different pattern and combination of styles in different ways. 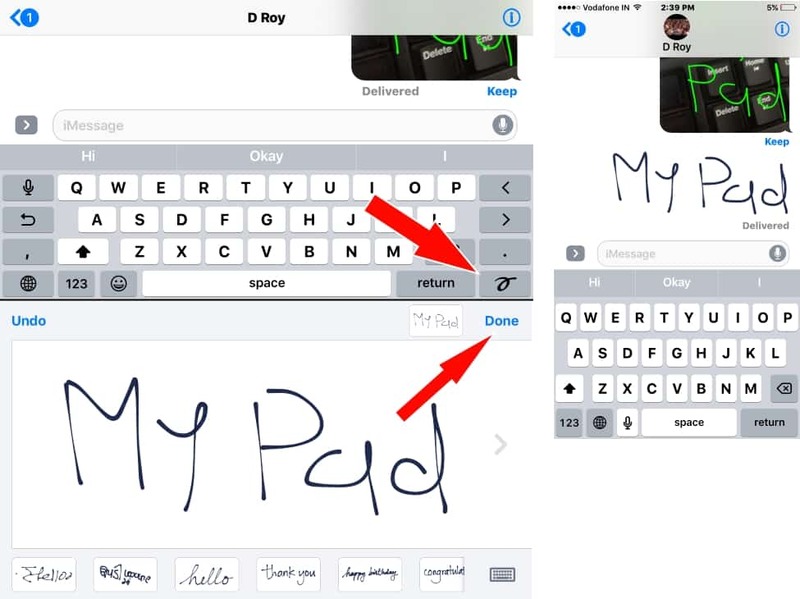 Let’s see how we can use different canvas for Draw hand free text, Signature and Symbol through iMessage in free from iPhone/ iPad running on iOS 10. Hope you enjoy all the ways quickly and easily, don’t miss to share that you like most in comment box. Are you interested in this features? Then finger gesture love effect also awesome that you may like most probably. Combinations of two or more fingers gesture gives more heart effects. Note: Make sure your device updated with latest version of iOS 10 or Later. 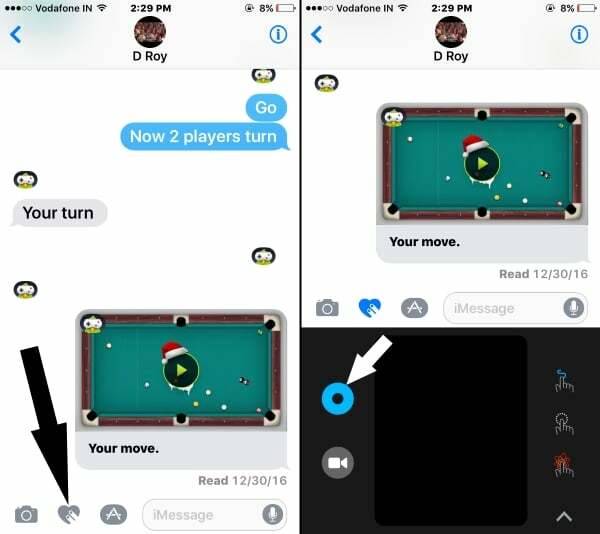 2: Tap on the recipient’s name to join with iMessage conversation. 3: Next, Tap on Heart icon near to iMessage text box. Start to draw on Black canvas. To get larger canvas, Tap on upper arrow icon at bottom right corner of the screen. 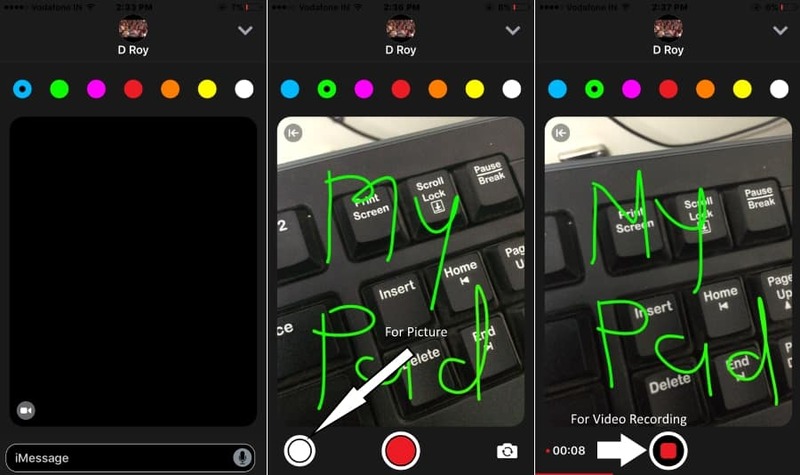 This option is amazing, Take live photo from Front/ Back then use drawing tools same like explained in above steps. Write anything and send it. Start Video, Press Red button. 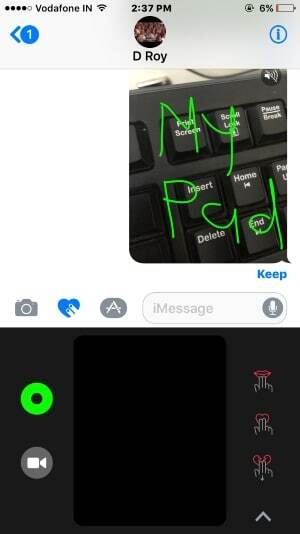 Note: Background Screen Effects/ iMessage Tricks (Balloons, Confetti, Love, Lasers, Fireworks, Shooting Star, Celebration) only applicable for Handwritten iMessage, Not for First Two draw methods. 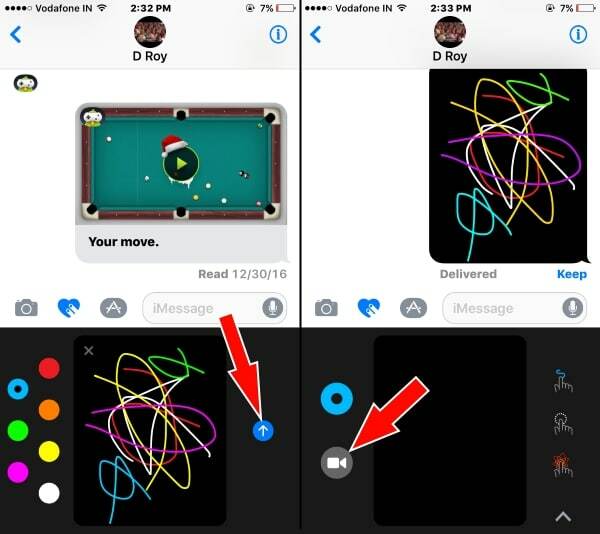 Comment me on how was your experience on Draw in iMessage? and which is your favorite?